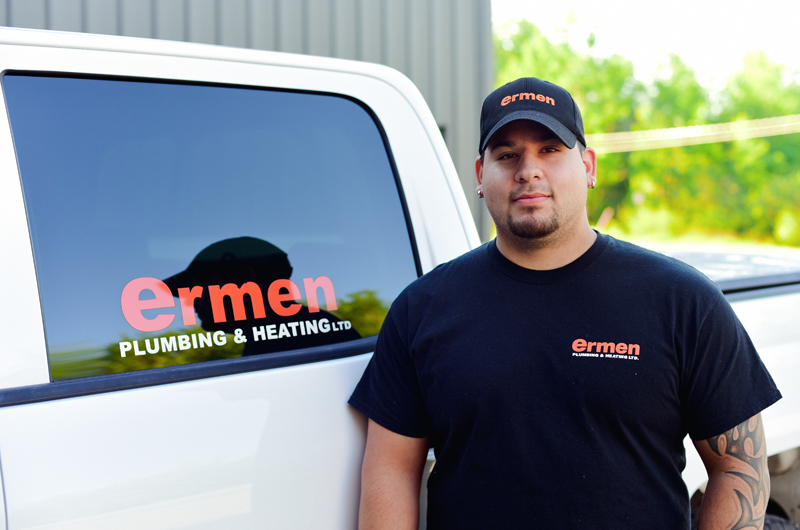 Monday – Friday 7:30 a.m. – 4:30 p.m.
Ermen plumbing, has been providing, Lounsburys Company, plumbing services for the past several years. I find them to be prompt, professional and would highly recommend them to anyone requiring their services. I have been acquainted and dealing with Ermen Plumbing & Heating Ltd. personally for over 45 years. Ermen’s has always given 110% when it comes to service and reliability. I like the idea of my company doing business with Ermen Plumbing & Heating Ltd. as we are both third generation family owned and operated businesses. Geldart’s Warehouse & Cartage Ltd.
We have dealt with Ermen Plumbing many timers over the years and have had nothing but excellent service. From small jobs to large, we have never had a complaint. Their plumbers are always pleasant and courteous. Whether for residential or commercial application, we find Ermen’s always meets our requirements. Copyright Ermen Plumbing & Heating Ltd 2019. All Rights Reserved.